Ceylon Cinnamon as Metformin Alternative? Combined Rodent + Human Study Yields Promising Results, But Do You Actually Need Another Expensive Carb Blocker? What you need is original Ceylon Cinnamon, not the cheap Cassia Cinnamon, which is often loaded with potentially toxic coumarin. The mechanism by which cinnamon and metformin work may be completely different, the net outcome, on the other hand, is very similar: Both reduce the blood sugar excursions in insulin resistant individuals. In contrast to metformin, of which I can only repeat that it is pointless to use it (unless you want the AMPK overexpression to leave you hypoglycemic and hungry all day), if you are lean and healthy, cinnamon may yet also offer benefits to normal-weight, normo-glycemic individuals like the 18 subjects (11 men, 7 women) in a recent study from Dialpha SAS in France (Beejmohun. 2014). Maintain and Improve Your Insulin Sens. cinnamon extract) in a randomized, placebo-controlled, cross-over clinical trial in healthy subjects. Figure 1: Alpha-amylase inhibitory effect of CCE.Values represent mean of triplicate measures (Beejmohun. 2014). The first thing the scientists did was to assess the in vitro inhibition of the pancreatic α-amylase enzyme activity, or, as the bros would say: Its carb-blocker quality (if you block α-amylase, you block the breakdown of complex carbohydrates). As you can see in Figure 1 the "carb blocker" activity of the Ceylon Cinnamon extract was similar to that of acarbose, an anti-diabetic drug used to treat type 2 diabetes mellitus and, in some countries, prediabetes (in the US it's sold by Bayer as Precose in Europe and China as Glucobay). As you probably already guessed, acarbose was specifically designed to inhibit enzymes (glycoside hydrolases) needed to digest carbohydrates - enzymes like the alpha-amylase enzyme. The Type of Cyelon Cinnamon Extract Matters: The scientists compared the effects of their hydro-alcoholic to regular aqueous cinnamon extracts and found the hydro-alcoholic to be 8% more potent. Keep that and the fact that plain cinnamon from the supermarket will in 99% not be Ceylon cinnamon in mind, when you shop for natural blood glucose managers. Eventually, the cheaper Cassia Cinnamon is probably not just going to work less effectively, it may also push you across the maximal tolerable intake level for coumarin (0.1 mg/day/kg of body weight; 7 mg/day for a person of 70 kg), of which the Ceylon Cinnamon extract (CEE) in the study at hand containes less than 0.2 mg per serving and thus only 2.8% of the tolerable intake level. It is thus not very surprising that the rodent study revealed that he quick and significant rise in glycemia (73.5 ± 2.8 mg/dL above the pre-STT value (T0)) that occurred 30 min after the starch load with 1.5 g/kg of body weight of starch in rats after an overnight fast was reduced by 20.4%, when the rodents received an additional 50 mg/kg (650mg for a human being) of the Ceylon Cinnammon extract with their starch load. 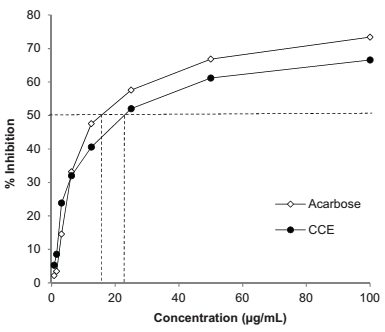 Figure 2: There is a logarithmic dose response effect w/ increasing dosages of CEE (Beejmohun. 2014). As Beejmohun et al. point out, the beneficial "effect is particularly significant during the peak of glycemia at 30 min (Student’s t-test P < 0.001)." (Beejmohun. 2014). And as the data in Figure 2 shows, it increased logarithmically with increasing dosages (this means more is only a little better and more than 150mg/kg or ~1.8g for a human being are probably useless due to the ceiling effect). We are interested in human studies, right? So, let's leave the rodent data an take a look at the blood sugar levels of the 18 human subjects, who consumed 1g of the extract before a standardized meal. Figure 3: Effect of 1 g CCE on blood glucose and insulin response after a standard meal in humans (Beejmohun. 2014). I assume I don't have to explain the data in Figure 3. What we see is the expected reduction in blood sugar response of which previous studies suggest that it is mostly produced by a reduction in glucose uptake from the digestive tract (Hlebowicz. 2007) and further promoted - at least in insulin resistant individuals (Kim. 2006) - by minor increases in cellular glucose uptake. One thing that we may want to keep in mind, though, is the fact that the ameliorative effect on the blood sugar response was more pronounced in the first 60 minutes after the meal (-21.2% vs. -14.8% area under the curve). An observation that should remind you of the fact that the temporary inhibition of alpha-amylase and thus the slower digestion of carbohydrates may influence the glycemia, but not (necessarily) the total energy, let alone the total amount of sugar your tummy is going to squeeze out of the digesta in the hours after your meal. There are dozens of supplements which can help you to improve your insulin sensitivity. 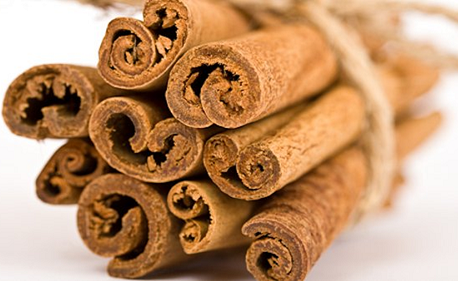 Many have more promising mechanisms of action than the overhyped carbohydrate blocker cinnamon | more. Bottom line: I am still 100% not excited about the use of Cinnamon in healthy individuals. For someone with blood sugar issues, on the other hand, it may be worth to postpone the influx of sugar into the system by using 1g of a hydro-alcoholic Ceylon Cinnamon extract. But let's be honest: Wouldn't it be better to change your diet? People who use carb or fat blockers always remind me of that idiot who wears a helmet, when crashing his head against a wall infinitely - So, why don't you simply stop eating tons of pasta and rearrange the macro composition of your meals from high to moderate carb, if you don't work out and can't afford eating carbs | Comment on Facebook. Beejmohun, Vickram, et al. "Acute effect of Ceylon cinnamon extract on postprandial glycemia: alpha-amylase inhibition, starch tolerance test in rats, and randomized crossover clinical trial in healthy volunteers." BMC Complementary and Alternative Medicine 14.1 (2014): 351. Hlebowicz, Joanna, et al. 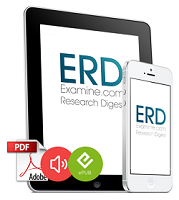 "Effect of cinnamon on postprandial blood glucose, gastric emptying, and satiety in healthy subjects." The American journal of clinical nutrition 85.6 (2007): 1552-1556. Kim, W., et al. "Naphthalenemethyl ester derivative of dihydroxyhydrocinnamic acid, a component of cin-namon, increases glucose disposal by enhancing translocation of glucose transporter 4." Diabetologia 49.10 (2006): 2437-2448.